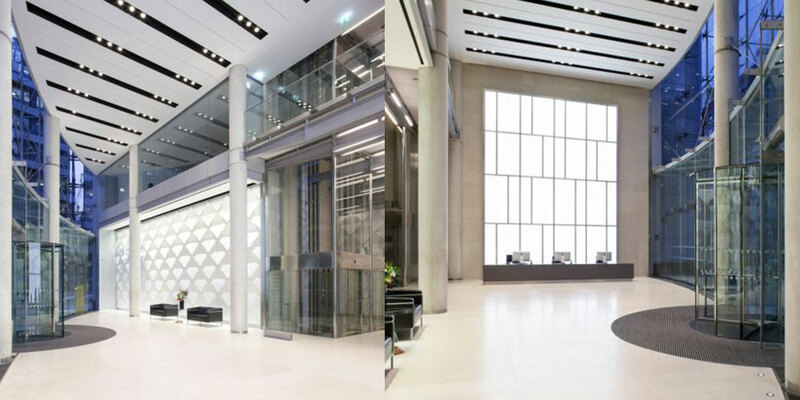 Located on the corner of Finsbury Pavement and South Place in the City of London, The Helicon provides 119,000 sq ft of office space over seven floors. 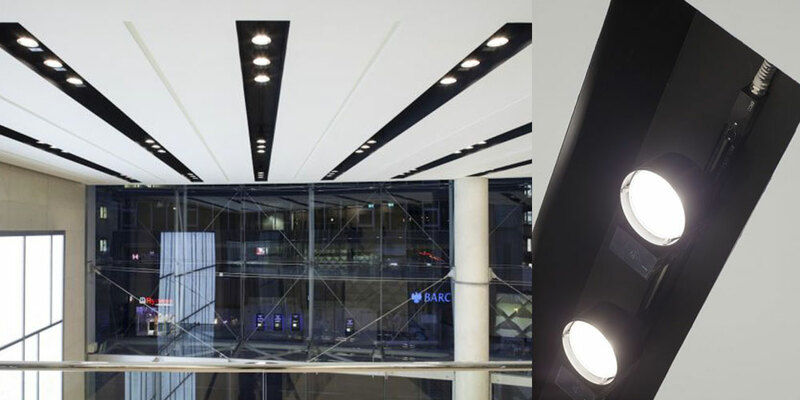 The client was keen to make a feature of the cast concrete soffits within the lift lobbies, and Hoare Lea Lighting specified Optelma’s made-to-measure Tattoo system. 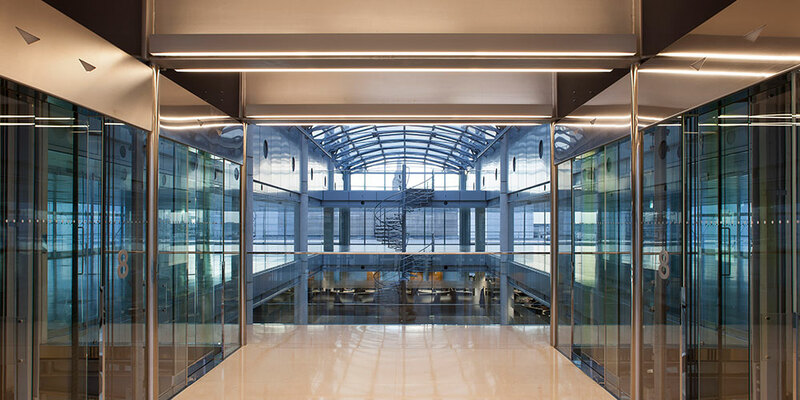 Mounted either side of the I-Beams, this slim, aluminium extrusion spans the width of each lift lobby, housing continuous asymmetric uplighting and opal diffuse downlighting, for direct and indirect light. The modules, each 3.6m in length, are mounted on custom-made brackets and fixed within the drop of the steel beams for an unobtrusive appearance. These provide a wash to the restored concrete soffit, bringing brightness to the spaces.